What do you do when space aliens invade the seminary? Hold on. Wait a second. That's not an alien! It's a statue of Mary and one of Joseph. 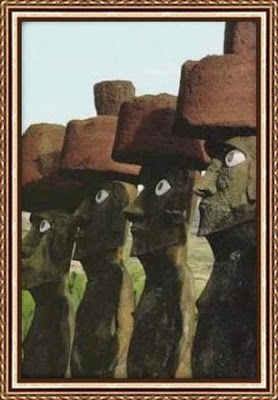 Oh looks like they left their family on Easter Island. Post inspired by Jeff at the Curt Jester.